recap Archives - Do You Speak Gossip?Do You Speak Gossip? Another month is almost over, and it makes me sad that we only have one month of summer left. As always, this is the recap of the month, to remember together the moments of this little blog, or show you what you’ve missed if you’re not a frequent reader. So pay attention, I’ll put everything below. Make sure to click the links, watch the videos and follow me on social media! See you soon! The first month of 2015 is coming to an end tomorrow, and outfit-wise it was a really good month. 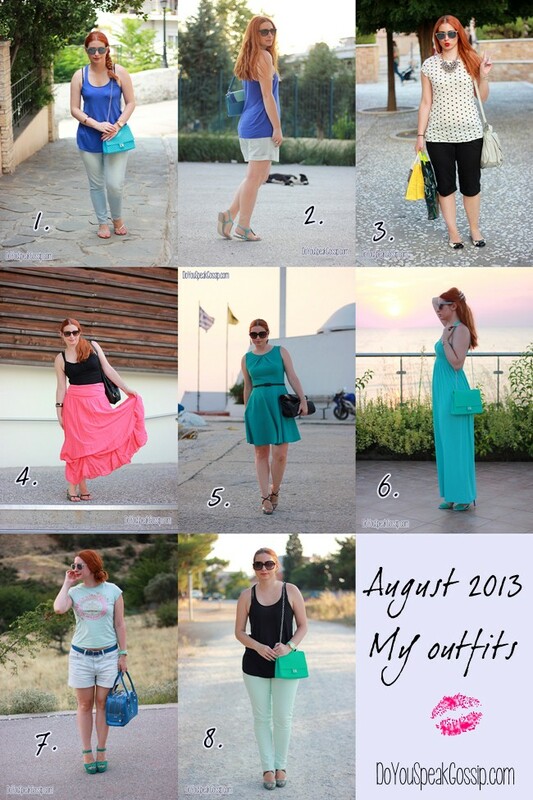 I managed to show you 10 of my outfits, which is one of my higher numbers in all the months I’ve been posting. My favorites are of course, no. 3, 6, 8, and 9 (which is actually my top favorite of the month). Which one is your favorite? Also, since last month, I didn’t show you my month in pics, but I did an outfit recap of the whole year, with some of my favorite looks from each month, I decided to show you my Instagram photos both from December 2014, and from January 2015. So if you see anything Christmas themed, don’t be alarmed. Hoping for a better February! Happy weekend and see you soon with a new wishlist and new outfit posts. Despite the fact that I managed to catch a cold, and I’m not feeling at my best (physically) at the moment I’m writing these lines, when I look back at this month, all I see is happy moments, and amazing memories. This month was full of outfits I truly loved, meetings with blogger friends (that I couldn’t be happier about), events that took place in Thessaloniki and many many more. I can definitely say that this month was one of my best, and I can only hope that November will be as wonderful, if not better. As always, in this post, I’ll share with you some of my favorite moments and outfits: a recap of my month as captured by my iPhone and camera. You can follow me on Instagram to see more daily updates from me, and things that usually don’t get posted on other social media. This month passed by so quickly! We’re only one day away from September, but I won’t worry about it. Even though we have more frequent rains lately, I’m staying positive that September will be really warm too. Or at least I hope so! 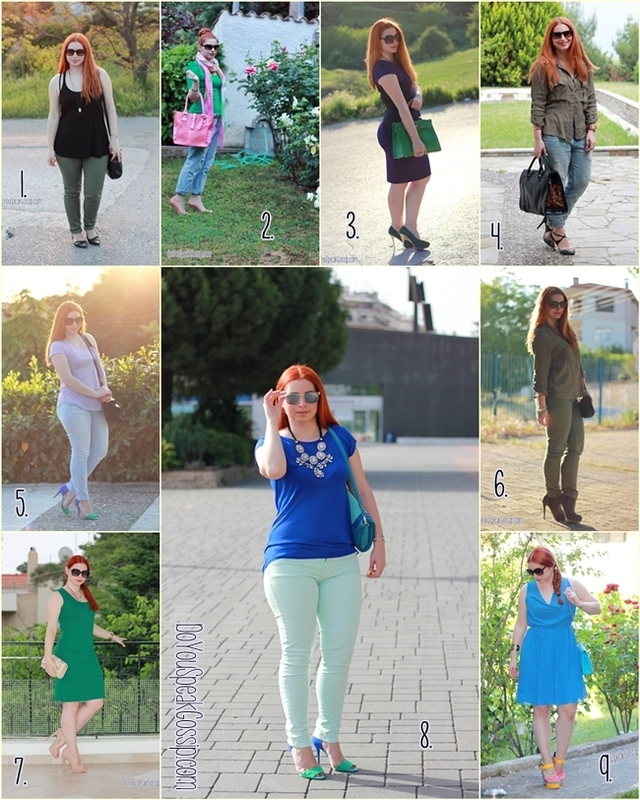 I really loved all the outfits I wore this month, and the photo sessions we had with T. and some of my blogger friends. Which outfit is your favorite? It’s always a difficult choice for me. 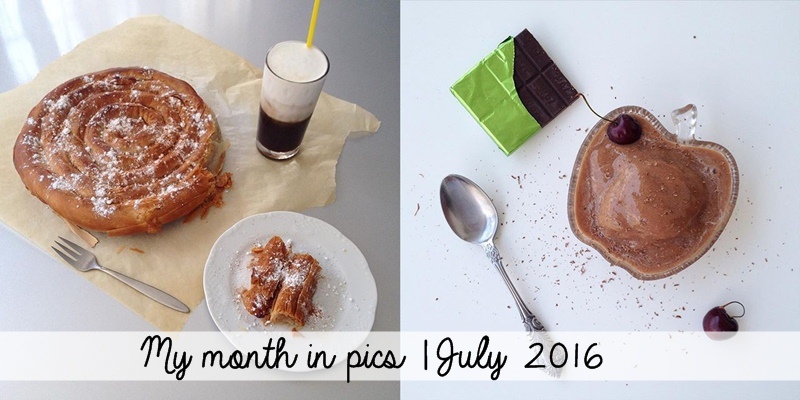 For those of you who don’t have an Instagram account, I prepared a recap of my month. If however, you’re on Instagram and you like what you see feel free to follow me. It will be my greatest pleasure. Let’s hope for an even better September, shall we? My favorite month ends today, but I got left with many great memories. So what happened in my life and on this blog this month? I shared with you 9 outfit posts (which must be a record for me), which I’m going to link below. And I had so many nice things to share with you on my Facebook page. I love this so much! I want to share more and more with you on my social networks. It makes me feel closer to you, and I love to interact with all my lovely readers. Since I don’t have an instagram account, you can find some of the photos I shared on my social channels below. Head over to my Facebook page, to like it if you haven’t already, and be the first to see the photos and updates when I post them. Let’s see, have you missed anything? Apart from my outfits, I shared some new ins, the 2nd part of my blogging tips (on how to choose your blog’s design, a MUST read for ALL bloggers), and a post about what I learned from doing the Shoeper Shoe Challenge the past year. On top of all May was the month of my birthday! Click on the links to catch up with all posts of May. I’m really proud of myself, not only because I managed to share so many posts with you, but also because I managed to keep my personal schedule, and even post more on my social networks, even with having to use my old PC, because the “new” one has yet to be fixed. I hope it will, soon. And now, my favorite part…Which was your favorite outfit and memory from May?